Get rid of all the unwanted rubbish in London M25 area. Get rid of all the unwanted rubbish! At A&J Clearance, we would like to offer you the support of best professional in the industry when it comes to rubbish removal. As many of our prospective and regular customers may know, there are various situations where the help of an experienced team of workers is required to remove litter, commercial rubbish, as well as all the remains left after renovation or refurbishment-related undertakings. Of course, you could try to pack all the unwanted items into bags, throw them at the back of your car and then â attempt to deliver them to the nearest garbage dump in the area, but we know that not many people have enough time and patience to do so. 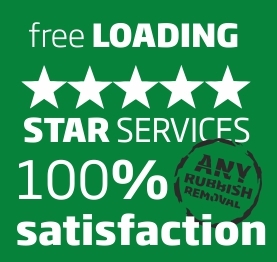 Therefore, you may choose to take the easier way and instead of starting a long and exhausting battle with tons of litter, give our company a call and place an order in one of the best rubbish removal Luton firm which is characterized not only by perennial experience, but also â by employing most skilled individuals and employing high quality devices while performing rubbish clearance – oriented services for our customers. Do not hesitate and call us if there is an urgent need to remove a substantial amount of litter from your house, office, or garage! We will be more than happy to help you with your problem!